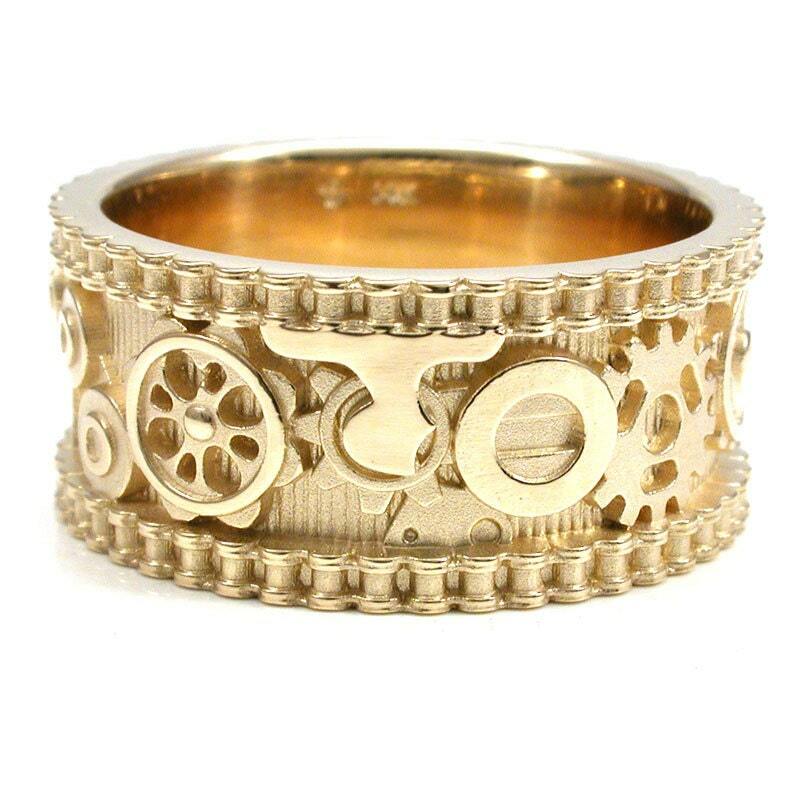 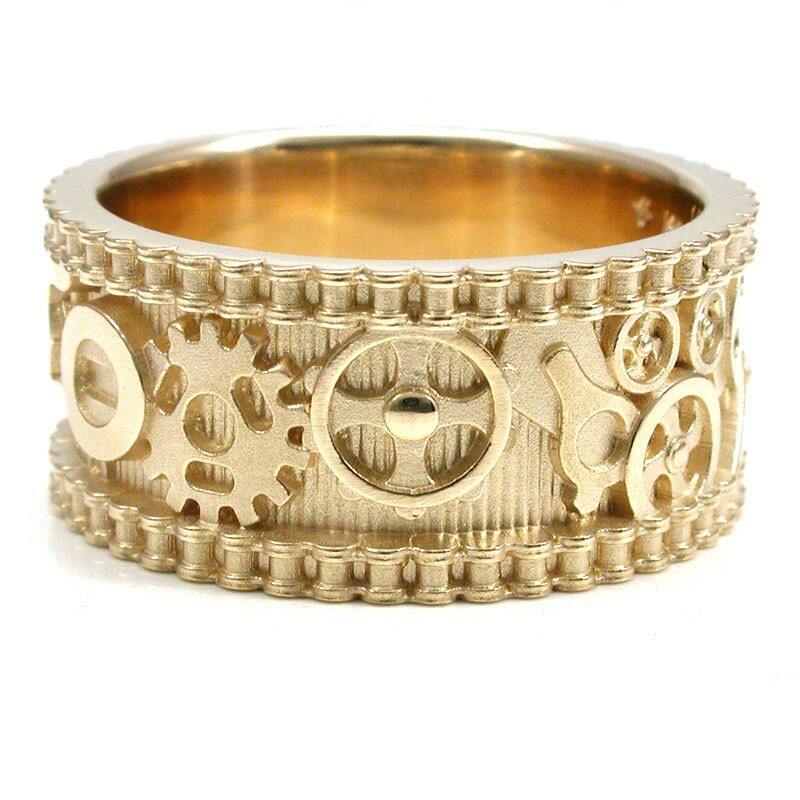 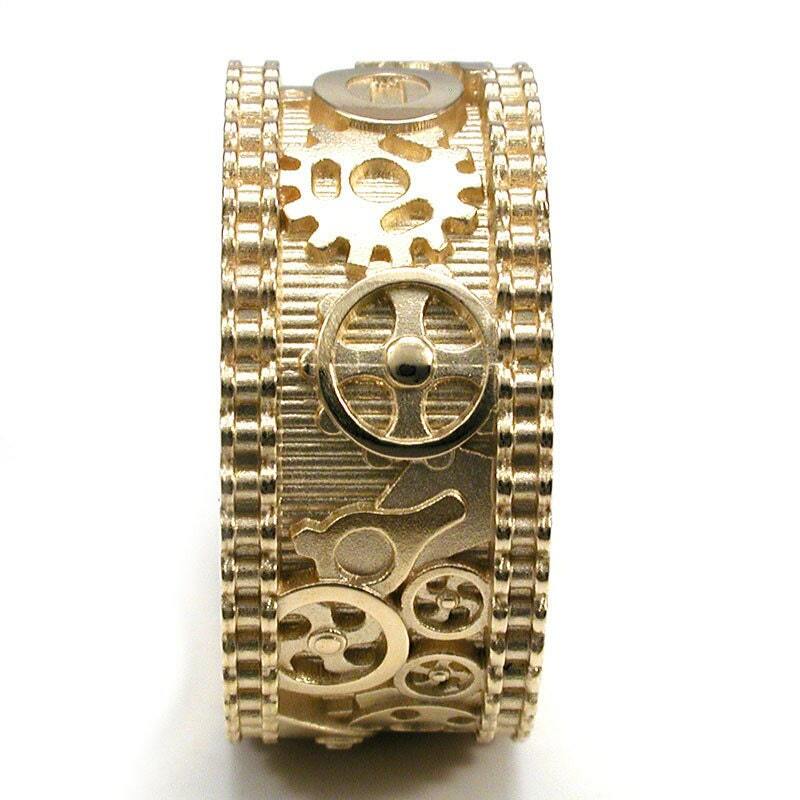 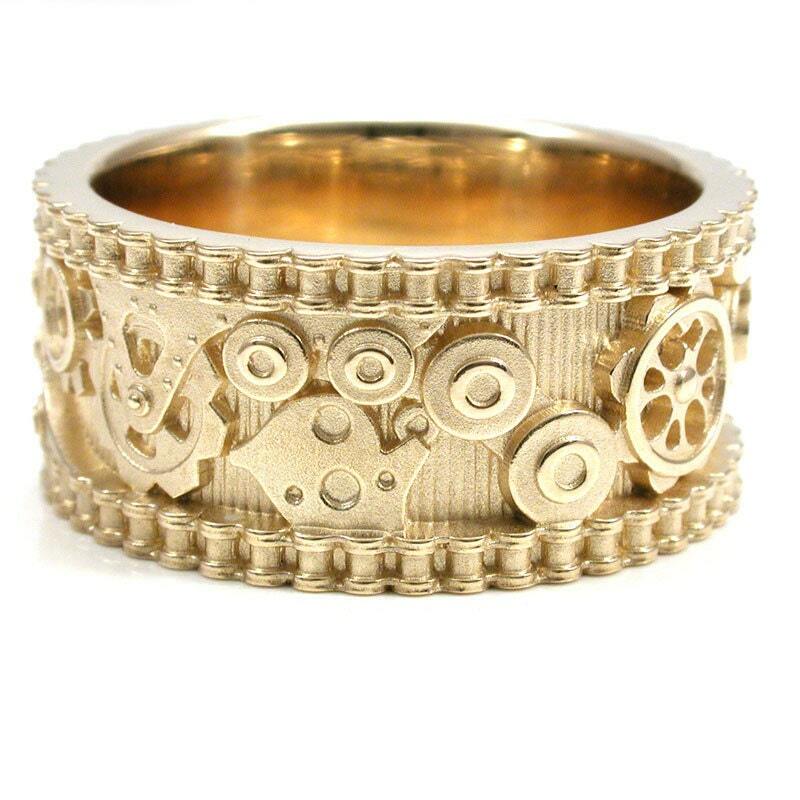 This steampunk industrial ring features all kinds of mechanical components, they are lined on either side with bike chain. 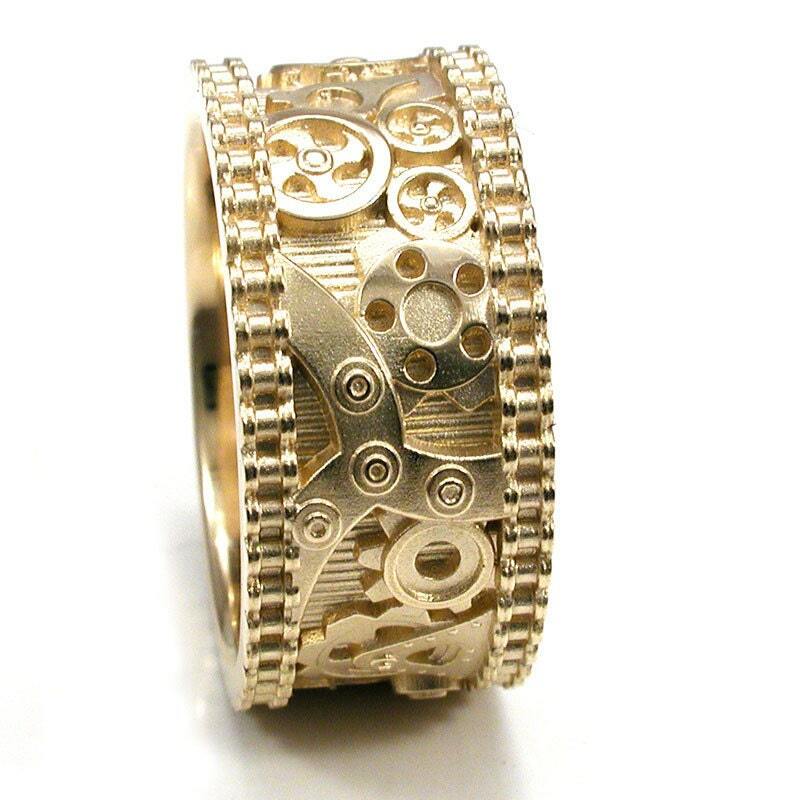 The band is 10mm's wide. 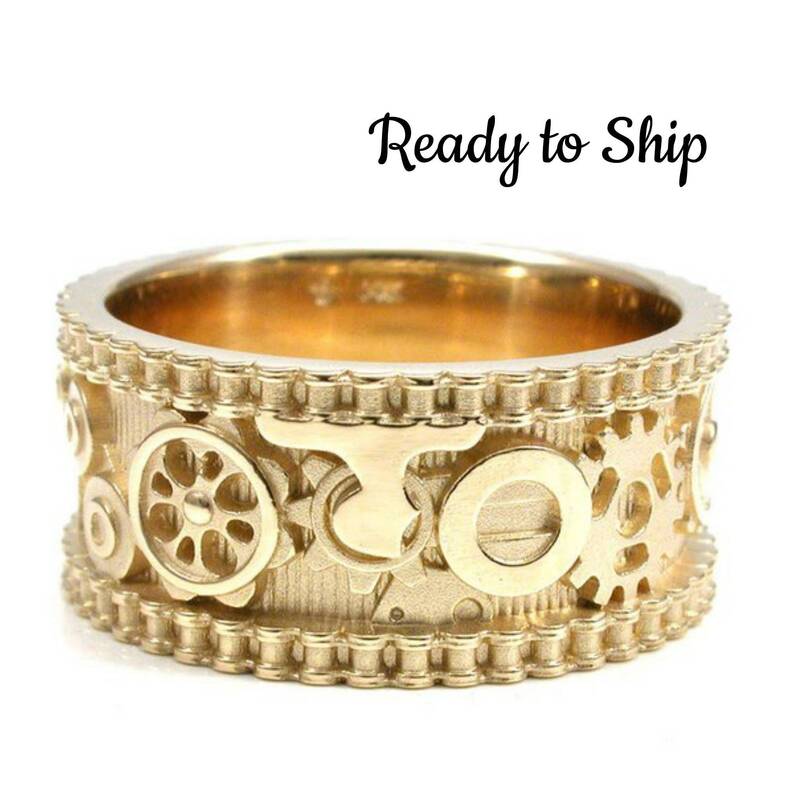 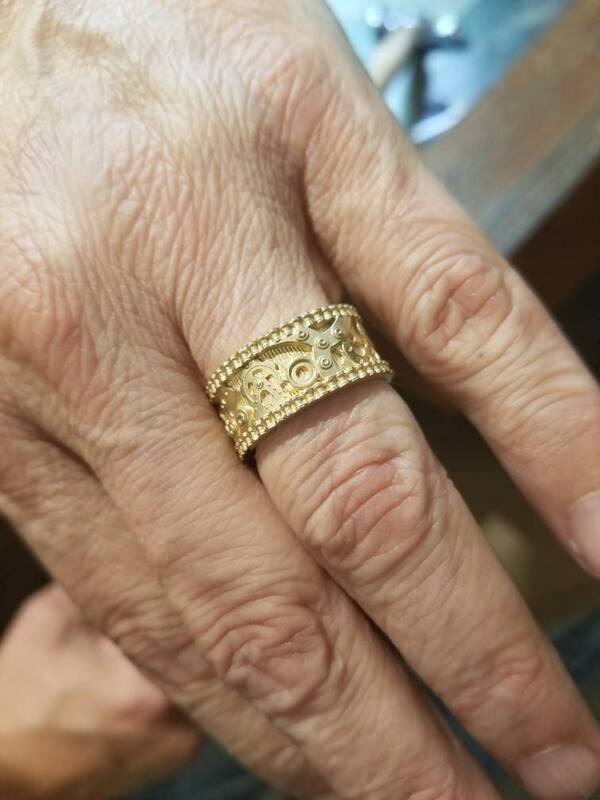 The ring in the photos is a size 8.5 and ready to ship, it can be sized up to a 9.